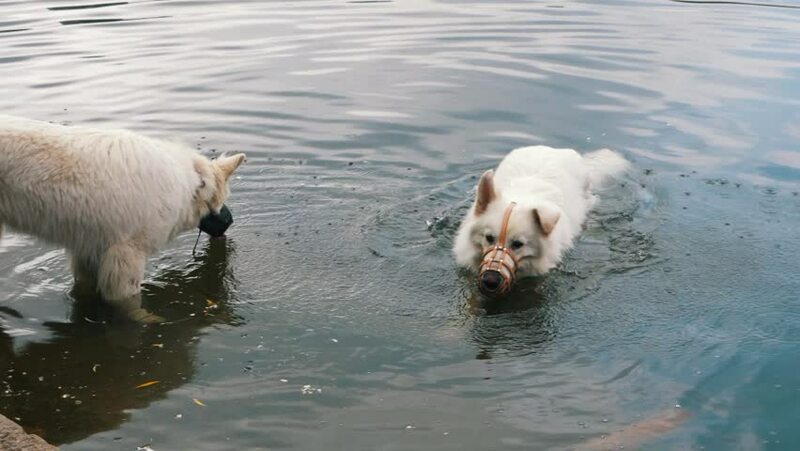 Two cute white dogs standing and bathing in the water. hd00:30Lioness with cubs in the Serengeti National Park, Tanzania, Africa. sd00:12A gray monkey grooms another monkey's back.